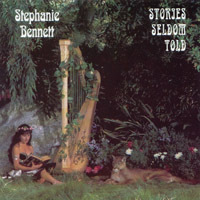 STORIES SELDOM TOLD: instrumental music (not story-telling) with: winds, brass and strings; tablas, tympani and bells. 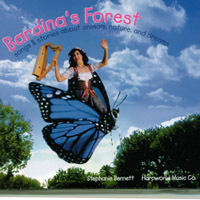 Like fairy tales full of adventure and romance, music that inspires the imagination to dream. 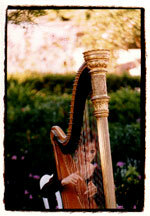 IMAGINOCEAN: Solo harp improvisations on concert grand pedal harp. Fresh and original, yet timeless as the sea. 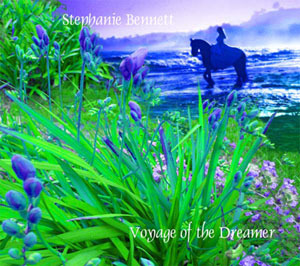 VOYAGE OF THE DREAMER: a fantasy novel without words: twelve stream-of-consciousness 'chapters' flow seamlessly into each other for an uninterrupted 60 minutes of otherworldly, relaxing solo harp music. Hear Stephanie play acoustic concert grand pedal harp, electric pedal harp, Celtic nylon-strung harp, and Celtic wire-strung harp. 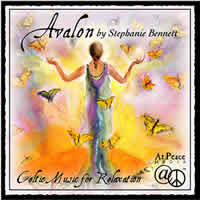 AVALON: Stephanie's CD of Celtic music for relaxation /massage / meditation. 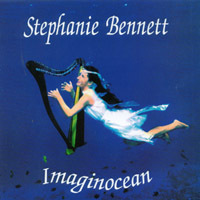 Two pieces Stephanie composed in Ireland, along with traditional Celtic music played on harps, with Uillean pipes, whistles and flutes. 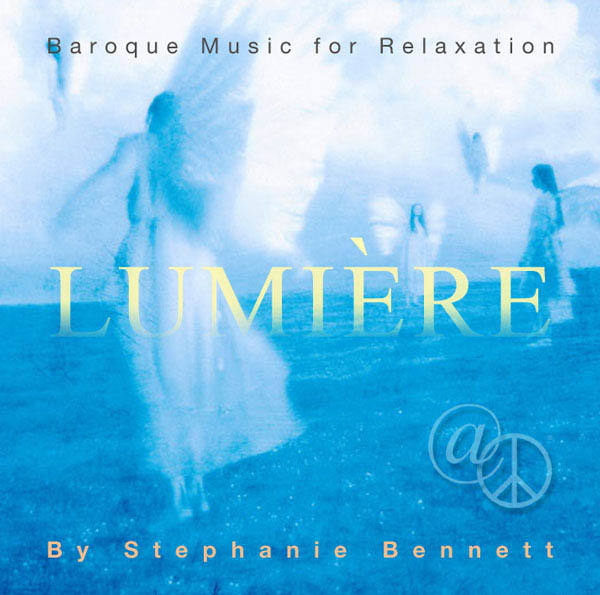 OUT OF PRINT LUMIERE: Stephanie's CD of Baroque music: beloved pieces by Bach, Handel, Gluck and Vivaldi, played for maximum relaxation on harps, some with flute and cello. More information about having Stephanie play at your event.